Some Maxon Mobile Schematic Manuals PDF you find above. Maxon Telecom company is known as a specialized manufacturer of mobile technology from Korea. 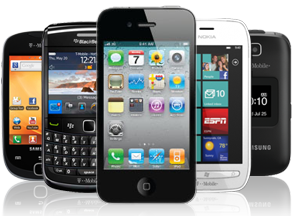 The range of its products includes CB transceivers, GSM / CDMA mobile phones and wireless devices. Maxson Company was founded in the 70s. Initially, it was called the Maxon Korea. In 2000 the name was changed to Maxon Telecom. Its headquarters located in the Korean capital Seoul. For over thirty-five brand Maxon was the main driving force in the industrial sector two-way radio. In 1982, the European office was opened in the UK. The unit was named Maxon Europe Ltd. Thanks to his discovery of the brand quickly became known throughout Europe. He also gained popularity due to the high product quality and reasonable prices. We add that the company has taken care of an excellent support service. In 2004 Chongho Information Communications (South Korea) bought the rights to the brand as well as the division of two-way radio Maxon Telecom. In 2005 they changed their name to Maxon CIC. Also, there was a re-branding of the European branch, so that the name was changed to Maxon CIC Europe Ltd. In 2006, Maxon CIC Thailand Ltd. was established manufacturing facilities are located in the Thai unit. Since the acquisition of the brand Maxon CIC invested heavily in research and development. It is possible to expand the portfolio due to the production of a brand new two-way radio products and modems. In addition, the newly formed company re-entered the market of mobile CB transceivers, and had with success. For example, CM10 model is considered as one of the best low cost high quality equipment in the world market. The European headquarters of Maxon CIC Europe Ltd. supplying a wide range of two-way radio equipment, accessories and spare parts throughout Europe and also in South America and Africa, thanks to a well organized dealer and distributor network. It also provides full support to its dealers by providing them with a wide range of repair and distribution services. The office is located in Hemel Hempstead, Hertfordshire, about 34 kilometers from the center of London. Thai city of Ayutthaya. They are placed as the production capacity, and secondary research and development department. Maxon phones assortment includes more than sixty vehicles. 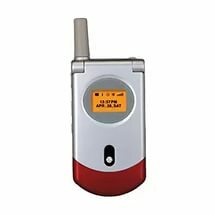 One of the first mobile company became the MX6832 model - a classic piece with an external antenna and a monochrome display, is equipped with a green light. The weight of the device was 113 grams. It was designed for GSM networks. Lithium-ion battery with 600 mAh battery provides four hours of calls and ninety hours of battery life. Graphic backlit display can display up to five lines of text, inclusive. Among the other technical parameters could be observed vibration, silent call, twelve built-in tunes, Hold function, speed dial, organizer, games and SMS support. Read - SAGEM Mobile Phone Manuals PDF & History.